It appears that Apple will be launching the AirPower alongside its 2018 lineup of iPhones in September, according to Bloomberg News. Apple gave a sneak peak of the wireless charger in September 2017, so this is long over due. Why the delay? In writing for Bloomberg, Mark Gurman says: “Company engineers have been toiling away to address problems. One challenge is making sure the charger doesn’t overheat. 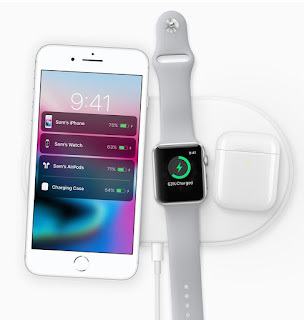 Another is the complexity of the circuitry, according to people familiar with the device’s development.” The AirPower will be able to charge a Qi-compatible iPhone, an Apple Watch, and a pair of AirPods (in a special wireless charging case) at the same time regardless of where they're placed on the pad. AirPower hasn't been priced yet, but guesses have it costing anywhere from $150 - $200.